Chocolate Dulce de Leche Dip. Yes… you can eat it with a spoon, and no, you don’t have to share. But just in case you do – your guests will be forever grateful. Chocolate and caramel are a classic combination and in dip form, the possibilities are endless. 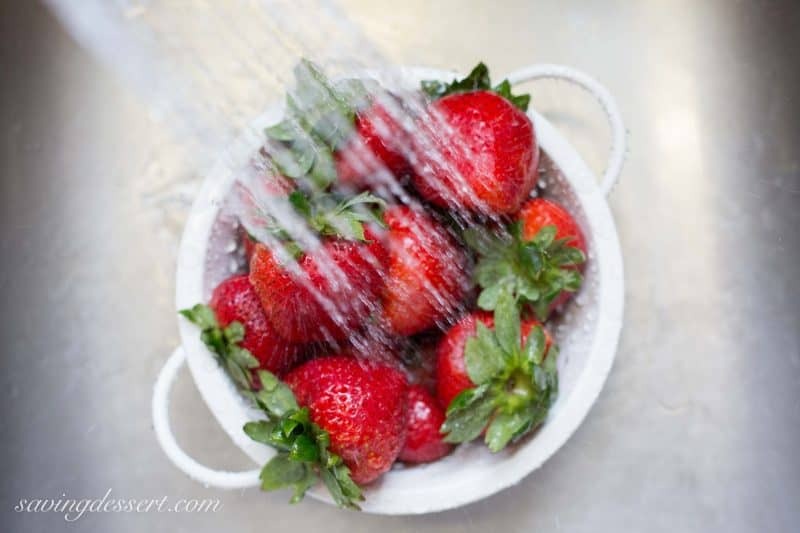 Strawberries are in season and they’re so pretty … I just couldn’t resist adding them to my “dip-able” selection. 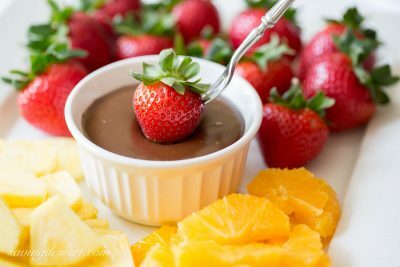 Strawberries, pineapple and oranges are great served with this silky smooth chocolate caramel dip. I was also thinking about a nice little shortbread cookie – dipping cookies in chocolate caramel – sounds perfect! 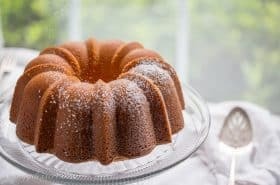 Maybe drizzle a little on pound cake? Okay I think I’ve talked myself into serving this dip with shortbread cookies, pound cake squares and strawberries. How perfect! Don’t you love a recipe that comes together in 5 minutes? I guess that’s good and bad when it comes to dessert. A silky smooth chocolate caramel dip perfect for serving with fresh fruit, pound cake squares or a simple shortbread cookie. Place the dulce de leche in a small saucepan and warm over low heat until melted. Add the butter and stir until incorporated. Remove from the heat and add the chopped chocolate. Stir until the chocolate is melted then add the vanilla, sea salt and milk. Add additional milk if needed for proper consistency. Cool slightly before serving, refrigerate leftovers. Come-on-Friday – I need a long weekend but I guess I’ll have to wait for Memorial Day. Do you have plans for the long weekend? Camping? A quick trip to the beach? Or are you painting your living room like me? Ha ha … we have all the fun! Thanks so much for stopping by. This is a go to in my household, we all figure the fruit makes it a healthy alternative. I think this dip would be great with just about anything. A real simple winner at our house! Absolutely heavenly Tricia. Think I would have to share as I would be a piggy and finish the whole lot all by myself which probably isn’t a good idea. It was very hard not to eat spoonful after spoonful! This dip looks incredibly gorgeous and YUM! It was very tasty – makes me want to buy more strawberries so I can have more dip! This would be perfect for a luncheon or shower! Or anytime 🙂 I am so intrigued by the chocolate dulce de leche combination. I think I need to try it to find out for myself! You’ll be hooked like me Susan – enjoy! 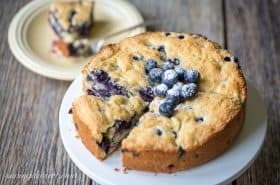 Perfect with summer’s fresh fruit.I know everyone here would love that Tricia! Thanks Monique – summer fruit is my favorite with just about anything. Hope you’re having a wonderful weekend. Keep this on the table while you paint the living room. It will keep you fortified. I just want to stick my finger in for a big dip! Oh Abbe – I like the way you think! Paint a little, eat a little, dip some, blog some, etc. Have a great weekend! Yes! I DO love a dessert that comes together in minutes, especially in the summer when you don’t want to turn on the oven! This dip certainly makes an impressive dessert surrounded by seasonal fruits! Dulce de leche with chocolate sounds wonderful to me! These photos make me SO hungry for this dip. 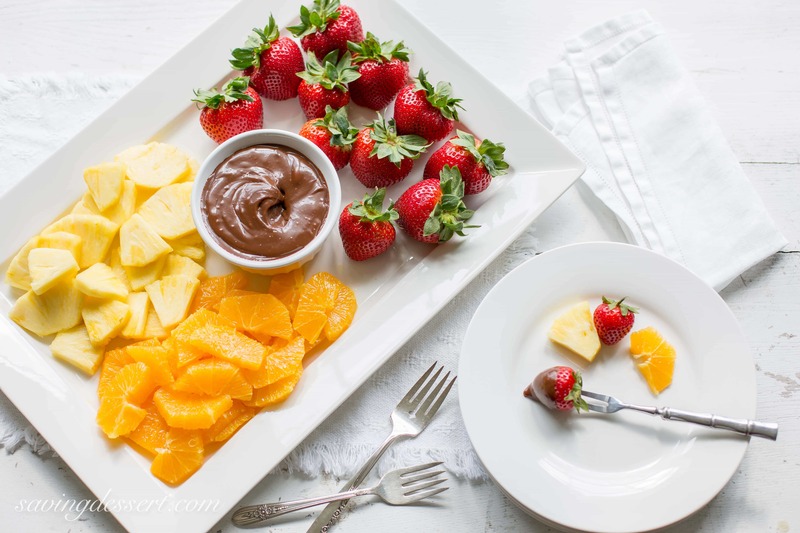 I love everything – even fruit for dessert! 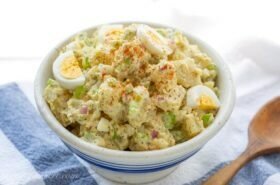 Thanks Maureen – easy can be delicious too! Have a wonderful weekend. Fresh strawberries are my favorite. I also love them in smoothies and just about anywhere. They are the perfect fruit 🙂 Hope you have a terrific weekend in your beautiful mountain home! We made smoothies too, strawberry is my favorite! I make strawberry puree and then I love to make the Lava Flow drinks with it. Have you ever had these? They are delicious! 🙂 Enjoy your weekend! Good morning Michael – you have mentioned the Lava Flow drinks before but I’ve never tried one – please share! Hope you have a wonderful day and a great week. What a lovely dip! And it’s got to be healthy with all that fruit, right? Balance I think Beth – all about the balance – haha. It is such a shame I enjoy making desserts 🙂 and vegetables and desserts – there is a pattern here! Have a great weekend. We just saw a strawberry stand along the road and picked up a big box. What perfect timing Tricia, this dip looks amazing and I can see how you could use it with seasonal fruits all year long. I love that it can be thrown together so quickly! 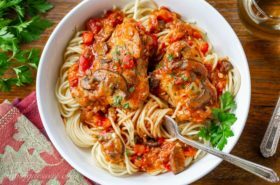 Quick, easy and tasty Chris. Enjoy your lovely box of berries and have a great weekend. Thanks again! A scrumptious dip, Tricia. I usually eat my fruits raw without any dip, but now I am so tempted to give it a try too. Now you can eat them raw with dip! Haha – thanks Angie! This looks fantastic Tricia! I’m drooling right now! Your photos are lovely too! Thank you Cynthia! Have a great weekend! One of our favorite restaurants, when our girls were growing up, was a fabulous fondu place, and the meal always ended with a luxurious chocolate fondue with tons of fruit for dipping. Your post makes me want to throw a party! I’ve always wanted to try one of those fondu restaurants – and yes I would try that chocolate stuff at the end! Perfect fruit dip, Tricia! Just wish I could reach in and grab a big sample! Thanks Pam! It is so tasty! Tricia this recipe sounds so delicious. 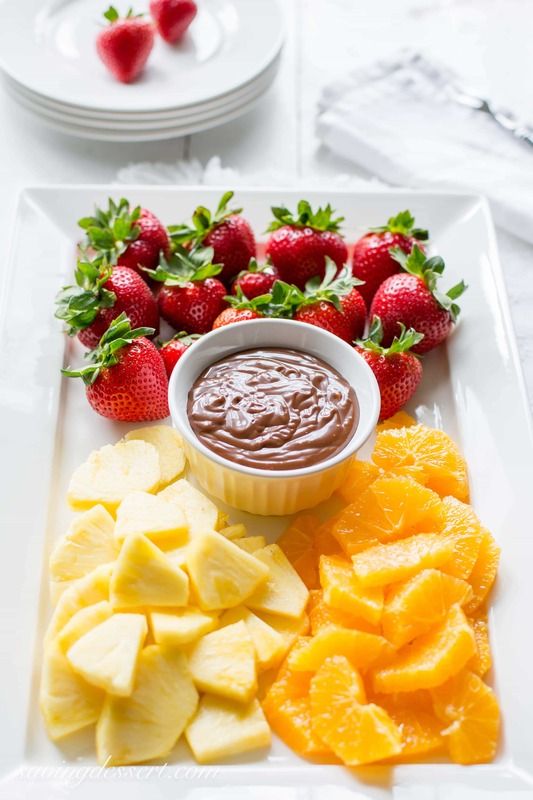 I love dip and combining fruit with a dessert dip is perfect especially for gatherings. I have to say I just love coming to your website. It’s such a bright and happy-feeling place! You are so sweet Toni – thanks very much for all your kind words! Have a wonderful weekend. Oh my – I love the way you think, Tricia! I was noshing on a lot of strawberries during Mother’s Day weekend (so good!). 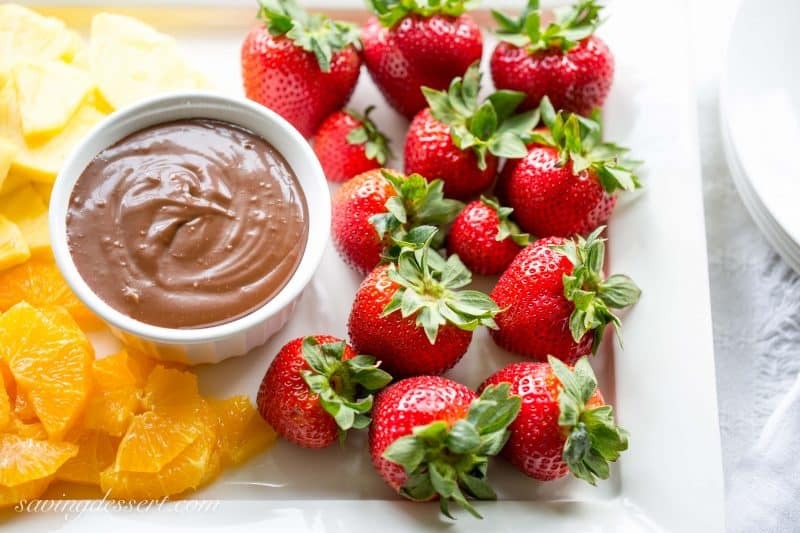 My husband loves to dip them in a little Nutella and we sometimes do chocolate fondue with strawberries and those other treats you mentioned. This chocolate dulce de leche…I have a feeling we’d never go back to anything else when we try it. Yum! Thanks Monica – I just can’t get enough of these gorgeous fruits 🙂 Have a lovely weekend! What a great way to enjoy all the great fruits right now! 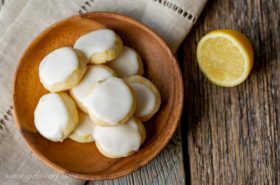 And yes, would be a great dip for cookies, as well 🙂 This coming weekend is a long weekend in Canada (Victoria Day) – the unofficial start of summer, so we’ll be kicking back and doing some grilling, I imagine.